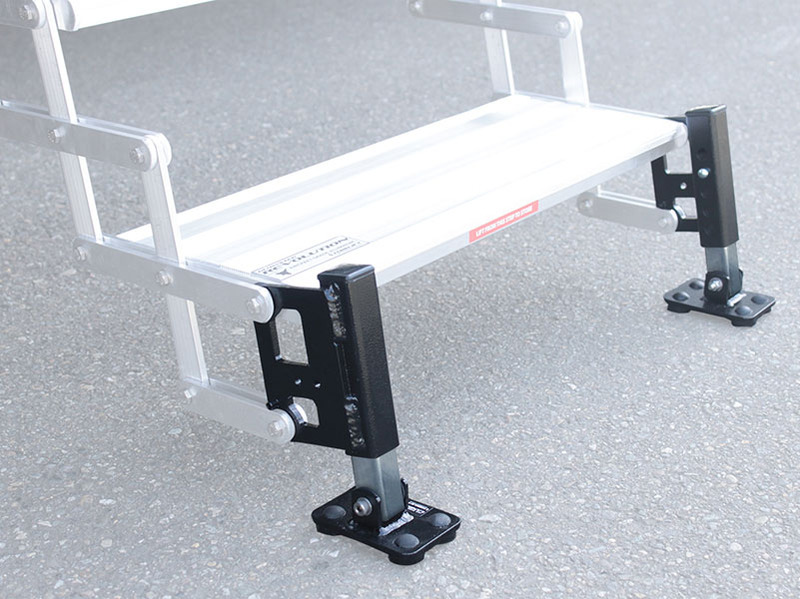 The All Terrain Landing Gear connects the GlowStep and GlowStep Revolution step system with the ground (Earth to RV) eliminating the unstable and unsafe diving board feeling associated with factory steps. 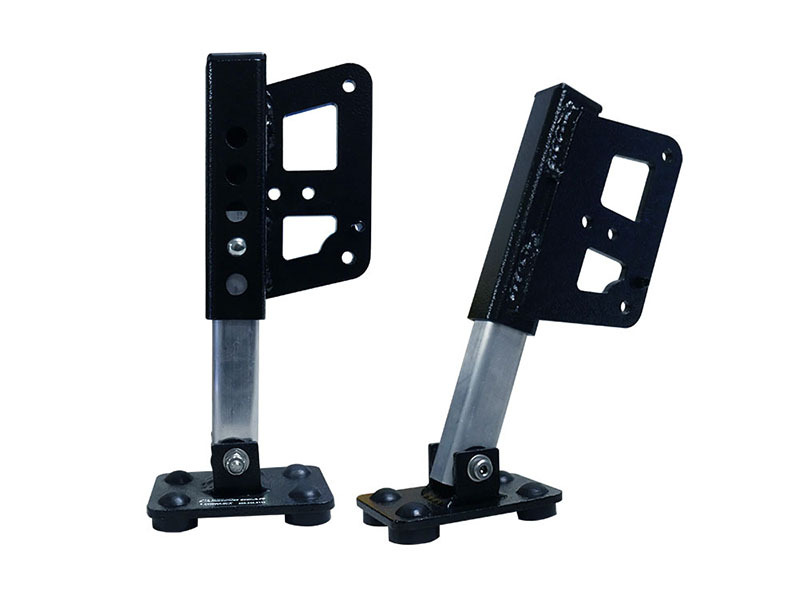 They are adjustable feet that make accommodating difficult terrain extremely easy. If the ground happens to be uneven, simply push a button to adjust in seconds and achieve a level and stable step system. The All Terrain Landing Gear comes with the GlowStep Revolution system, however it’s available to purchase separately and installs on any GlowStep scissor step. Proudly made in the USA and comes with a Legendary Lifetime Warranty. Dealers, click here to view Torklift's Products Displays.